A sweet sleeveless dress that goes all of your plans for the day. Introducing our new sweet sleeveless dress that suit your plans of the night and day. Nadira is a bubble crepe that is nursing friendly and soothing. 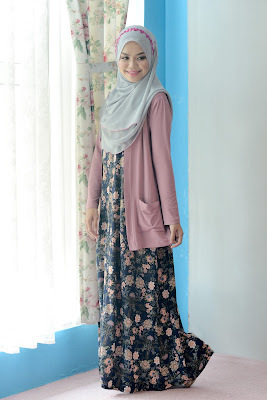 Together with our Qyna Cardigan, the combination is syariah compliant.